MARIO is a one-of-a-kind comedy magician for almost all ages and events.
" ...we cannot recommend him highly enough." " ...a hit with people who readily admit they don't care for magicians." Who is Mario THE ALMOST MAGNIFICENT? 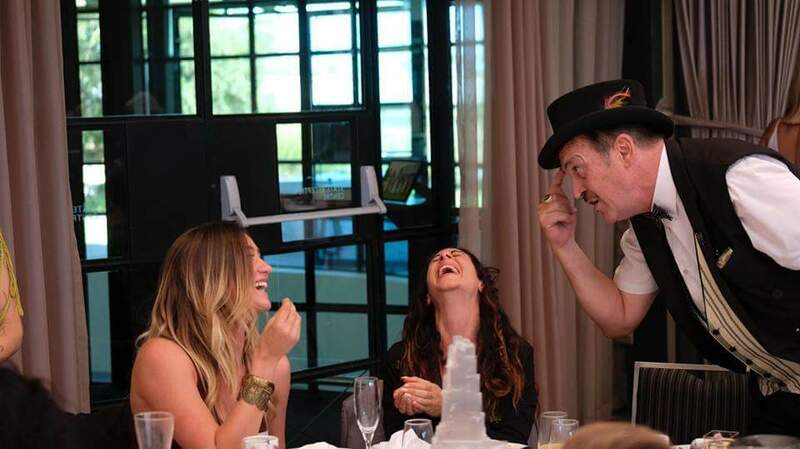 He weaves comedy and magic into Moments your guests will never forget. Throughout his epic battle with the forces of evil, boredom and premature maturity, Mario the (almost) Magnificent has been known by many names. He is Mamahoohoo Mario in China, Mario il quasi Magnifico in Italy, Mario le presque Magnifique in France, Mario o skedon Thavmasios in Greece and everywhere else his travels take him, Magic Man. He is the quintessential close-up, comedy magician whose career now spans two centuries. As performer he has brought joy and wonder to thousands of children, adults and other carbon lifeforms across four continents, in 5 languages, with his unique brand of comedy magic. Magic doesn't have to be serious, and Mario loves to make people laugh while simultaneously blowing their minds. He believes magic is at its most enchanting and powerful when it’s performed close up. A grand illusion performed on stage is grandiose entertainment, but a card changing in your hand? That’s magic! 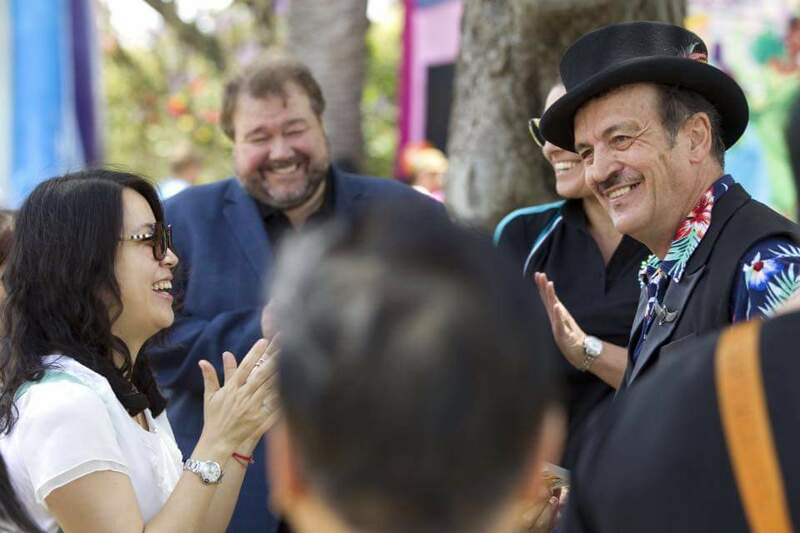 Mario brings his magic up close and personal to any group, regardless of whether they are sitting at a table at a corporate gala dinner, in the boardroom after a meeting or just standing around at a cocktail party by the pool – in fact, just about anywhere for anyone. Like a modern Don Quixote, he wanders from here to there, tilting at the windmills of bored cynicism and leaving a trail of laughter, joy and wonder behind him. He is the perfect ice-breaker for any event, offering unique, intimate entertainment that will be remembered and talked about for years to come. 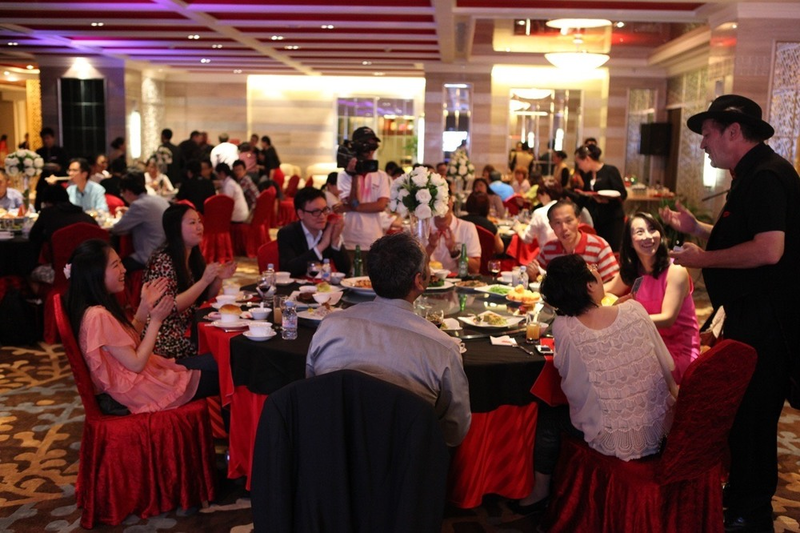 Mario has performed at events of all types - private, public, corporate and diplomatic. He has amazed ambassadors, boggled businessmen, regaled reporters, knocked out nuns and on one memorable occasion created magical mayhem at the Royal Albert Hall. All charges were dropped. So, if you’re looking to add something unique, memorable and out of the ordinary to your next event, take a closer look at Mario. Your guests will thank you for it. After all, seeing is believing... Or is it? "For a moment they become like children again with WOW! all over their faces and with glee in their hearts. Regardless of age."